I started these Notes on January 21, 2016, on my return flight to Dahlonega after ten days working at our California vineyards. I think it is appropriate to send Paso Robles (maybe the State of California) an invoice for services rendered. Four of the ten days I was in Paso Robles, it rained. Yes rain in Paso Robles! What a strange occurrence. I have done a lot of things, but a rainmaker? Why not? I HAD to be the protagonist. Those who control rain know a Georgia grape farmer NEEDS rain at the vineyard to perform. Here’s the thing. Fair is fair. If you do not bill you can’t get paid. If I only knew where to send the invoice, I am sure our friends in California would agree to the fairness in paying!!! Frogtown commenced winter pruning in early January 2016. It simply was too warm to prune in December 2015. If Frogtown had commenced pruning in a very warm December, there would have been a substantial risk of stimulating bud swell, or even worse, bud break. Ah, January’s temperatures were just what the vines needed: cold temperatures, but not too cold. Our building projects at Frogtown are getting completed. We are starting to build the cabinets and wine storage system in the Wine Library, Citizens Tasting Room, and Private Dinning facility. The heated and cooled tasting facility at the patio is completely dried in and also ready for fixtures. In the beginning of our winemaking activities at Frogtown, I thought our white wine production was much closer to the quality of wine I wanted to make than our reds wine. Over the ensuing years, our white winemaking progressed, but not to the extent of our red winemaking. – Return to some winemaking protocols I used in the earlier years of white winemaking that I either ceased using or modified. Fining of the pressed juice is the first change I decided upon. I progressively got “caught up” in not fining our white wines. Fining is simply the introduction of an agent into the juice or wine to attract undesirable elements in the white wine that are then removed from the wine by racking (moving the wine off of the settled finings). Fining is an evasive wine making protocol. Less invasive winemaking had to be better, right? Well no. I did not fine any of our 2011, 2012, and 2013 vintage whites. This resulted in some benefits but also resulted in negatives. The unfined white wines from these vintages were “aging” faster than our earlier vintage white wines that were fined. Also, at bottling, the wines had more “color” and the color became more pronounced as the wine aged. Why? There are “browning” elements in the musts (juice) of pressed white wine grapes. Prior to 2011, I fined many of these browning elements out of the white wine musts in the earliest stages of white winemaking. I decided to go back to fining the white wine juice immediately after pressing the grapes. – Unfortunately when wine is fined, it is impossible to target just the “bad” elements one wants to eliminate. Good elements contained in the white wine additionally are attracted by the fining agents and are removed. To counteract this result, I decided to use more new French oak in the fermentation and storage of our white wines. Fined juice is much more resistant to oxidation than unfined juice. Fermentation and storage of white wines in oak barrels is less anaerobic than in steel tanks. Due to the return of fining white wine juice, the fact that oak barrels are less anaerobic did not materially concern me. – Our white winemaking has always been accomplished in a fairly less anaerobic environment than what is the norm in white winemaking. Frogtown also tends to use less sulfur early in our white winemaking; again, then what is usually the custom of other winemakers. Less anaerobic white winemaking and less sulfuring have the benefit of intensifying the aroma, structure, and finish of white wines. Lovely aromas and a discernable beginning, middle, and long lasting finish are achieved as such wines are aged and finally bottled. I strive to achieve wonderful mouthfeel and structure in Frogtown’s white and red wines. In my opinion, the opposite of these characteristics of great mouthfeel and structure is the result when white wine is made in a significantly anaerobic environment and with the addition of more sulfur. Such white winemaking results in a rather nondescript, thin wine that, in fact, may lack color and surely intensity and charm. Acacia barrels: (i) add structure and improve mouthfeel, (ii) intensify flavors, and (iii) impart many of the benefits of fermenting and aging of wine in barrels without imparting oaky flavors to a white wine. Yes, acacia wine barrels appealed to me at a time I was open to employing modified protocols for our white wines. For our 2014 white wine production, I purchased French barrels that were made from (i) very lightly toasted oak barrels specifically coopered for white wines and (ii) very lightly toasted barrels made by alternating each stave with oak and acacia (50% oak and 50% acacia). For our 2015 white wine production, I purchase a number of 100% French acacia barrels. 2014 was not a big production vintage for Frogtown white wines. Yes, 2014 was the first year since 2011 that we did not sell all of our Chardonnay grapes to Wolf Mountain, but an early frost (which proportionally adversely affects white grapes to a greater extent than red grapes) and other white wine grape sales resulted in a relatively “small” white wine vintage for Frogtown. That was just fine with me; better to experiment with the modifications I decided upon in a relatively light-year. I had a feeling that 2015 would be a much larger white wine harvest; and it in fact such was the case. In 2014 Frogtown also had quantities of Sauvignon Gris and Petit Manseng grapes that were not available when the flavor profiles of some of the white wine blends were originally established in the earlier years. In 2014 Frogtown made: a varietal Marsanne, Inclination, Vineaux Blanc and our new white wine blend, 770. In the 2014 vintage of Inclination and Vineaux Blanc, I added varying amounts of Sauvignon Gris. In the new white blend, 770, I blended Petit Manseng with Sauvignon Gris and Chardonnay. The result of blending Sauvignon Gris into the 2014 Inclination and Vineaux Blanc, along with the modification of our protocols discussed above, in my opinion, resulted in two of the best Inclination and Vineaux Blanc wines ever made. Such additions of Sauvignon Gris have demonstrably elevated the overall quality of these wines. There is a reason why Cabernet Sauvignon is the King of grapes and Chardonnay is the Queen of grapes. No other varieties of red or white wines produce the qualities of great varietal wines and the qualities of making other wines better as blending elements in such wines. The addition of Sauvignon Gris to the flavor profile of Petit Manseng was interesting and promising. The addition of Chardonnay to the blend fulfilled just what I was looking for in a wine labeled 770. It is sooooo gooood to have Chardonnay back in the winery. Immediately as I added Chardonnay to the Petit Manseng/Sauvignon Gris blend, the wine became better and better. Most significantly, those who have experienced the 2014 Frogtown 770 have voiced very appealing comments. 2014 770 is our first vintage of this new white wine blend. This wine will progress as we make this wine in subsequent years.  It is important for me to deliver the following information (actually I prefer the word “message” to “information”) as I am about to give you my sensory impressions of 2014 vintage Frogtown white wines. Message One: To fully enjoy premium white wines it is imperative to drink such wines at a temperature no lower than 55 Degrees Fahrenheit. Yes, seriously. You want white wines to volatize in your mouth not to chill you and your mouth down like a cold beer. You will miss the full sensation (and appreciation) of premium white wine if the wine is tasted too cold. I do not make wine with the intent for a wine to have a certain flavor. I do; however, blend wines made from different grapes, which I am aware have certain flavor characters that I do anticipate will be imparted into the wine made from such grapes. I am, most concerned with, and do intend, that all Frogtown wines have what I would describe as a balanced mouthfeel. By balanced mouthfeel I mean a wine that is smooth and supple on the palate, never harsh, or bitter, nor overly tannic and never dull or flabby. Only a wine possessing a premium balanced mouthfeel can “set the proper stage” for the wine drinker to fully enjoy what should be intriguing aromas and flavors. Only a wine possessing a balanced mouthfeel can improve the food experience when paired with appropriate foods. Is there something wrong with you if you do not sense the same or similar aromas and flavors that I describe in the tasting notes below? No, no, and no. We are all individuals having different DNA’s, abilities, and experiences. Our production of saliva is not the same. Our abilities to sense and taste also varies from time to time based on how we feel, what we have eaten and drunk before we taste a wine. So if you sense slightly different or very different aromas and flavors or cannot honestly recognize and verbalize what aromas and flavors you smell or taste, it really does not matter and is not a reflection on your ability to enjoy wine. At this stage of 770’s bottle development, I would suggest you experience the aromas of this wine first when it is poured into glass and additionally after you aerate the wine and wait to smell this wine three to five minutes later. Initially there are intense aromas of grapefruit and lime. After waiting the suggested period of time the intense aromas of grapefruit and lime mellow and are joined by recognizable pineapple aroma. Upon tasting the wine, tropical fruit flavors continue on the palate as the wine moves through your mouth. You should also recognize the presence of honeysuckle flavors that further add to the sense of body, suppleness and texture to the mouthfeel of this wine. The wine finishes with a long dominate presence of lime and grapefruit and minerality. This is a full-bodied white wine. Dominant Chardonnay and Viognier aromas of melon, pear, apple, peach, and to a lesser extent, very ripe citrus are experienced when smelling the aroma of this wine in the glass. On the palate the flavors of melon, pear, apple, peach, and citrus are joined by the presence of well-integrated oak flavors of toast and coconut. These oak flavors occur as a result of blending Chardonnay fermented in new French oak barrels and allowing the Chardonnay wine to go through malolactic fermentation. The flavors of this wine are consistent as the wine moves through your mouth. These flavors are rather intense as the wine is swallowed, but diminish as the long, lasting finish gradually ends. The blending of Sauvignon Gris and Vidal in this wine brings a lively acid-citrus character to this wine that definitely contributes to the wonderful balance of this wine and pairing of this wine with food. I cannot recall ever making a better Inclination. This 2014 Inclination IS a great wine! The aromas of this wine are overwhelmingly citrus with some ripe apple. On the palate, this wine is less full-bodied and its aromas and flavors are less intense than the 2014 770 and the 2014 Inclination. Adding to the light easy drinking mouthfeel of this wine is the use of neutral oak barrels (more than 4 years old) in the fermentation and aging of a portion of the Seyval wine blended into this wine. I cannot sense any oak flavor nuances on the palate or on the nose of this wine as a result of its oak experience. I also ferment and age a portion of the Seyval used in this wine in stainless steel tanks and barrels. The stainless steel experience adds a crisp acid character to this wine without negatively impacting the wine’s mouthfeel. It is the light body and crisp acidity of this wine that makes Vineaux Blanc the best Frogtown white wine for pairing with food. The acid in this wine will have a much-needed palate cleansing affect on creamy sauces such as a Fettuccine Alfredo pasta dish. This 2014 Marsanne is a worthily successor to the 2009 Frogtown Marsanne, a triple gold medal-winning wine in California and a wine of which I am most proud. Marsanne’s flavor profile is apple, pear, flowers, and most significantly, as the wine ages, unmistakable hazelnut and almonds. The 2014 Frogtown Marsanne has developed in the bottle lovely flower and nutty (almond and hazelnut) bouquet. On the palate the nutty character of the wine adds distinctive enhancement to the pear and apple flavors. A Frogtown Marsanne has the presence of sufficient acid to lend the required balance to the wine and aid in reducing (thankfully not removing) a very full-bodied somewhat “oily” character that is present in Marsanne wines. Typical of Frogtown Marsanne wines and Roussanne wines, there is present a discernable minerality that is most pronounced in the long finish of these wines. This 2014 Frogtown Marsanne is a great example of the benefits derived from the use of the new French barrels discussed above. All of this Marsanne was fermented and stored either in lightly toasted French oak or the lightly toasted French oak and acacia barrels. Less than 100 cases made and, of course, will only be available to our wine club Citizens. The last of our 2011 red wines that spent three years in oak and the third of our Super Tuscan triplets. We may have created Super Tuscan Triplets, but the wines are definitely not even close to being identical. 2011 Frogtown Penchant is most definitely a medium bodied red wine. The distinct cherry aroma and flavors indicate a Super Tuscan that is more similar to a varietal Sangiovese than any of its Frogtown siblings. The blend contains 43% Sangiovese, 36% Merlot, and 21% Touriga. Penchant possesses bright cherry aroma and flavor. The blending of Touriga into this wine had the effect of toning down the “brightness” of the cherry flavors with some darker red fruit aroma and flavor. Also, the addition of Touriga in Penchant made the wine more complex. This wine’s medium body and dominant cherry flavors make the wine easy to drink and a home run wine to pair with Italian veal, chicken, sausage dishes made with tomato sauce and hardy pasta dishes containing such meats. Mission accomplished. -Audacity – a very traditional style of a Super Tuscan wine, both Italian made or made domestically. -Bravado – Frogtown’s unique Super Tuscan styled wine that is very bold and full-bodied. Bravado has a noticeable Sangiovese character made significantly bolder by the addition of a substantial amount of Tannat. -Penchant –the 2011 Penchant is a more complex and elegant wine than our Sangiovese varietal wine but not as bold or complex as Audacity and Bravado. 2011 Frogtown Bravado ($41.99), and a bottle of 2011 Frogtown Penchant ($33.99). Citizens receiving these red wines enjoy a discount of 20% to reduce the Citizen cost for pick-up to $94.13, which includes sales tax, and the addition of $12.84 shipping results in a cost for these wines shipped of $108.97. Citizens receiving two bottles of Red wine and one bottle of White wine are receiving a bottle of 2011 Frogtown Penchant ($33.99), a bottle of 2011 Frogtown Bravado ($41.99), and a bottle of 2014 Frogtown Marsanne ($30.99). Citizens receiving these red and white wines enjoy a discount of 20% to reduce the Citizen cost for pick-up to $91.56, which includes sales tax, and the addition of $12.84 shipping results in a cost for these wines shipped of $104.40. Citizens receiving three bottles of white wines are receiving a bottle of the 2014 Frogtown Marsanne ($30.99), a bottle of the 2014 Frogtown Inclination ($27.99), and a bottle of the 2014 Frogtown 770 ($27.99). Citizens receiving these three white wines enjoy a discount of 20% to reduce the Citizen cost of these wines to $74.44, which includes sales tax, and the addition of $12.84 shipping results in a cost of these wines shipped of $87.26. Cydney and I, along with Nettie, and Jordan, wish each and every one of our Citizens continued good health and good Cheer and the enjoyment of Frogtown Wines!!! !